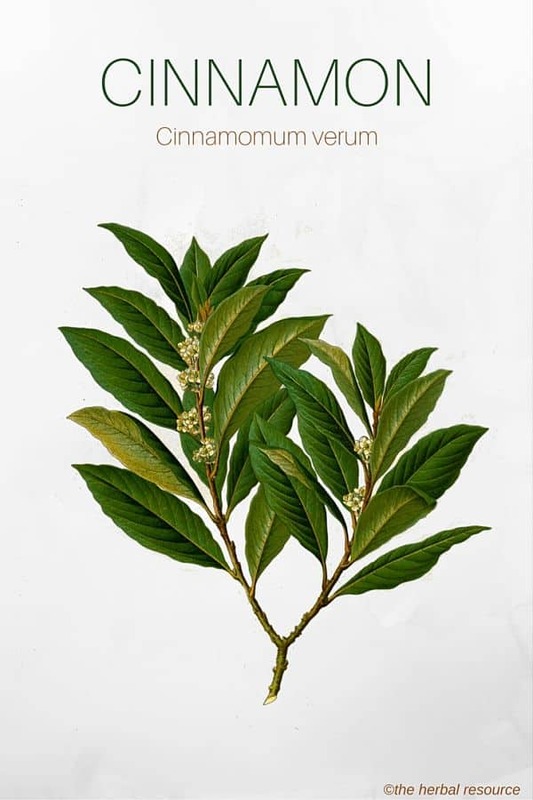 Botanical Name of Cinnamon: Cinnamomum verum. Other Common Names: Cassia, Ceylon cinnamon, kayu manis, canela, vayana. Habitat: It requires hot and humid tropical weather and though native to South India and Sri Lanka, it is widely grown in countries such as China, Vietnam, Brazil, Indonesia. Plant Description: Cinnamon is an evergreen tree which attains the height of about 10-17 meters. It has strong branches, a stout trunk that is 30-60 centimeters in diameter and a thick bark. The tree bears small white flowers; the fruits are oval berries that are blue in color, with white spots and its shiny green leaves are stiff and leathery. Plant Parts Used: Inner and outer bark but also the leaves. Cinnamon has been in use as a culinary spice and a medicinal herb, ever since the ancient times. 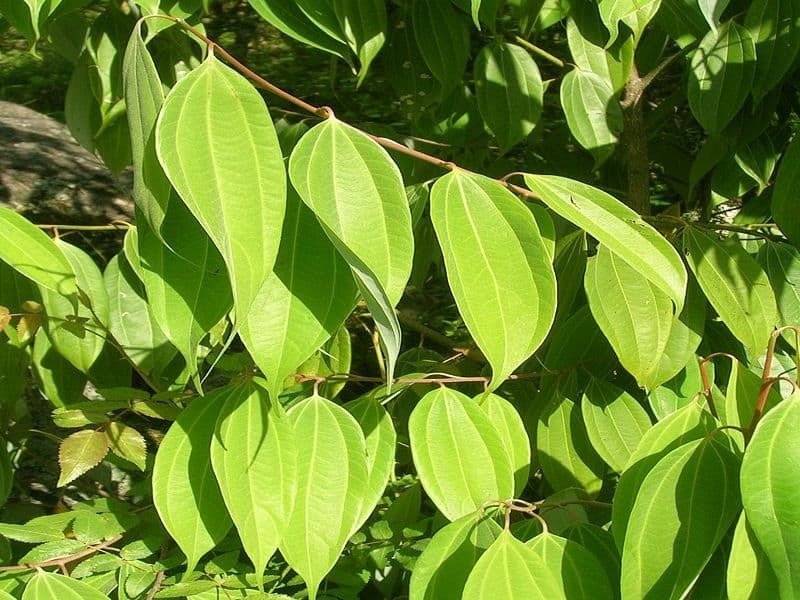 It was used in cooking for its flavor and also to prevent food from going bad. Even today, the bark is a widely used cooking ingredient all over the world. It is used to add a hint of spice to desserts, teas, candies and also in many dishes in Middle Eastern and Asian cooking. The medicinal uses of this herb are many. It is used to improve digestion and also to provide relief from many digestive disorders such as diarrhea, flatulence, and nausea. Studies have shown that cinnamon has the ability to regulate blood sugar and this property makes it useful as an herbal treatment for diabetes. According to a study, just 2.5 ml of the herb a day reduced the level of blood sugar in those suffering from type 2 diabetes. It also reduced levels of triglyceride, LDL cholesterol and the total cholesterol. It is also effective in eradicating yeast infections that have become immune to other medications. Consumption of cinnamon generates warmth in the system and as such is useful for people who have cold feet and hands. It is also beneficial for those suffering from arthritis. A study was carried out in which arthritis patients were given one tablespoon of honey with half a teaspoon of cinnamon in powdered form, every day before breakfast. The participants in the study reported a significant reduction in the pain in a very short period of time. It also helps get rid of common cold, flu and headaches. Also, cinnamon has antifungal and antibacterial properties and is effective against the E.Coli bacteria that cause contamination in food. Topical applications prepared with the herb are used for healing minor skin infections. 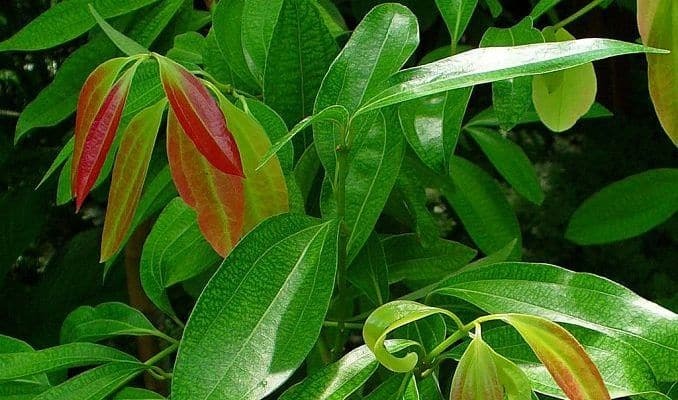 The essential oil of the leaves has a warm and spicy fragrance that not only purifies the air but also reduces drowsiness and irritability. It also serves as an herbal aphrodisiac and an anti depressant. However, the oil is to be used only for the aroma and it is not meant for internal or external use. For digestive ailments, consumption of cinnamon bark tea three times a day is recommended. The tea can be purchased or easily made at home by pouring hot water over one teaspoon of cinnamon bark. Cinnamon bark tea is relatively safe and rarely causes any side effects. However, those with ulcers must not consume it in large doses, as it may irritate the stomach lining. Pregnant women should also avoid the herb. The essential oil should not be ingested and if it is undiluted, should not be applied directly to the skin. A glass of water with apple cider vinegar and cinnamon twice a day. What a concoction! I’m 68 and feel much better now than I did 5 years ago!